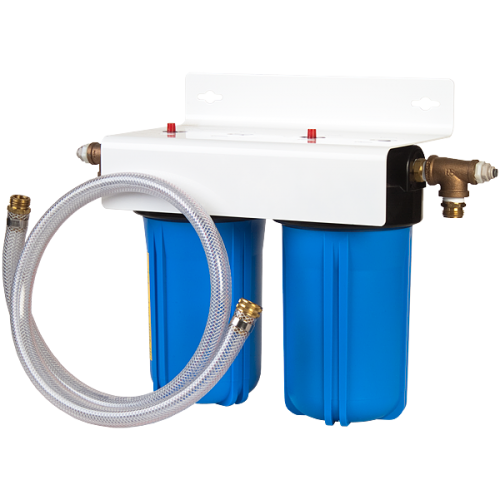 The 78300 Dual Cartridge DI Spot Free Rinse System is ideal for multiple vehicles, RV's and Class A & B Motorhome maintenance. The dual cartridge setup assists with even more time, energy and money savings. 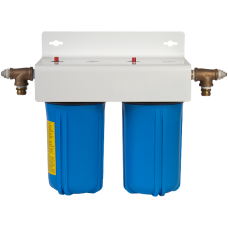 Designed and engineered for a higher volume capacity, the dual #10 Big Blue Cartridges offer approximately 150 gallons of Spot Free demineralized water. The dual #10 cartridges contain premium grade color indicating DI resin for superior results. The color of the resin will change, alerting you when it's time to replace the resin. 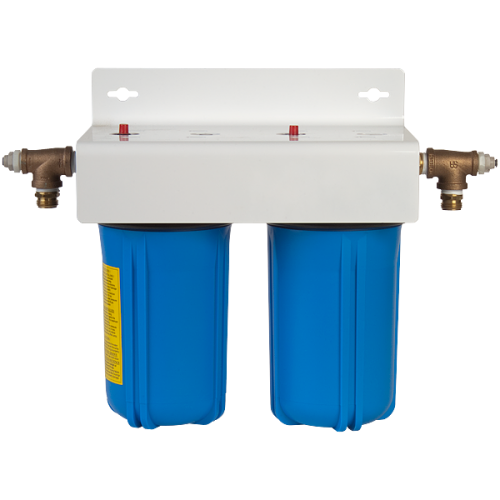 System includes a dual line TDS meter to monitor water quality. Both cartridges are easily removed to refill with new DI resin for the next big cleaning job. Product 78315 offers a full system regen.